Real time financial tracking tools capture activity as it happens, reducing your time between service delivery and invoicing. 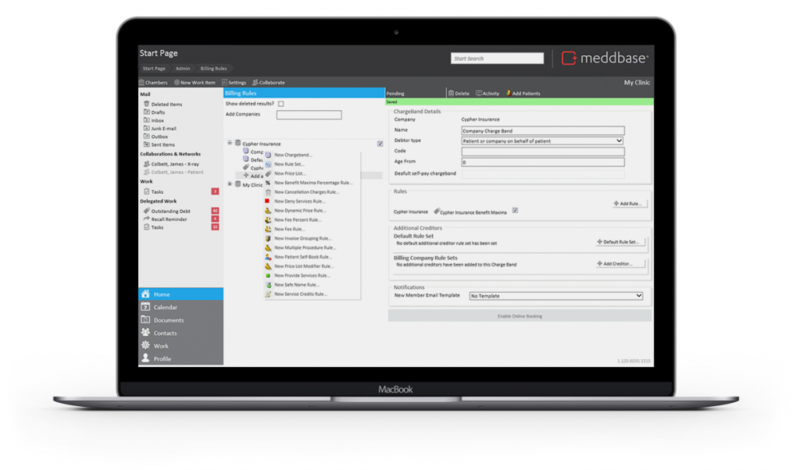 Meddbase features a suite of billing tools that allow you to build automation into your billing, directly linking patient care to invoicing, regardless of complexity. Charge more on evenings or weekends? Discounts for first appointments? All of this and more can be managed automatically. Once a bill has been sent, debt management tools kick in immediately tracking the debt age and reminding the relevant accounts team on a monthly basis of any outstanding debt. Recording debtor invoices, payments, credit notes and shortfalls within Meddbase is simple, but for those looking for more, Meddbase can also link with Xero and Reviso to provide even more possibilities.